The Skyrim plugin Falskaar, as well as the main quest series and miscellaneous quests, has a number of other things that are not true quests in themselves, although the results of them may be useful, or may earn money or, in the case of crime, cost it. 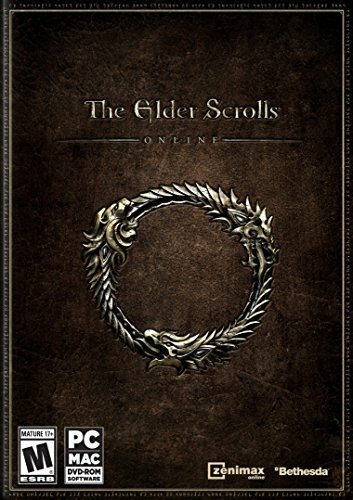 The Bounty Ledger is a book which will show your current bounty in Falskaar. Copies can be got from Horndew Lodge, the Amber Mead Inn and Jalma. Criminals are locked up in the Amber Creek Barracks in Amber Creek. Speaking to Gabrial, who can usually be found in the Amber Mead Inn, and saying "I bet I could beat you in a brawl" gives the option to fight him. You first have to pay 100 Gold, and then you can fight, using neither weapons nor magic. If you win, speak to Gabrial again, and he will give you 200 Gold. It's a good idea not to do this when the inn is crowded, or you could accidentally hit someone else, increasing your bounty in Falskaar. For every log put through the sawmill in Amber Creek, the town lumberjack, Oudin, will pay 10 Gold. Varrina, the young girl at the Amber Mead Inn in Amber Creek, has certain new recipes she can teach you. Ask her "Can you teach me how to cook anything?" and she will give you the first one. In each case, make the recipe up and take it back to Varrina. She will take the finished item and, for the first four, she will then give you another recipe. Asking Varrina for another list simply gives you the current recipe you need to make. Recipe: Varrina's Special Stew - This requires Salmon Meat, Salt Pile, Cabbage and Bread. The stew will restore 20 points of Health and 20 of Stamina when eaten. Recipe: Spirit Stew - This recipe uses Rabbit Meat, Carrot and 3 Blue Mountain Flower. When eaten, it restores 3 points of Health a second for 20 seconds and 5 Magicka a second for 30 seconds. Recipe: Vegetable Medley - This one uses 2 Cabbages, a Leek, 2 Potatoes, a Tomato, a Garlic and a Salt Pile. This one restores 10 points of Health a second for 30 seconds and 5 points of Stamina a second for 20 seconds. Recipe: Seasoned Beef Stew - This recipe uses Audmund's Seasoned Beef, 2 Grilled Leeks and 2 Baked Potatoes. Audmund's Seasoned Beef can be purchased from Audmund at Audmund's Farm to the south of Amber Creek, but he will also give you several as a reward for completing Runaway Cattle as well as reducing the cost of future purchases. This beef restores 60 Health when eaten, and 2 Stamina and 2 Health per second for 540 seconds. Recipe: Wine Basted Beef - This one uses a Venison, a Salt Pile, 2 Apples and an Alto Wine. It will restore 2 points of Health and 2 of Stamina a second for 900 seconds as well as increase carrying capacity by 20 for 900 seconds. There are two new spells, which are both learned from spell tomes that can be found in Vizemundsted. Fury of Flames - This creates a gout of flames which causes 43 points of fire damage per second, plus damage from the target remaining on fire. Relentless Spirit - This restores 40 points of Stamina per second. There are three intact Word Walls in Falskaar, which will teach three words of a new shout, Champions Spirit. The Vizemundsted Word Wall teaches Glory, Champions Spirit, the first word. For 15 seconds you will cause 15% more damage and take 25% less. The Grimrott Grotto Word Wall teaches Fight, Champions Spirit, the second word. For 25 seconds you will cause 45% more damage and take 75% less. The Dragonbone Perch Word Wall teaches Triumph, Champions Spirit, the third word. Horndew Lodge is the house that the player can buy in Amber Creek. to buy it, speak to Jalma, Agnar's wife, and tell her "I'd like to purchase a house in the city." The house costs 10,000 Gold. Once paid, Jalma will give you the Key to Horndew Lodge and the Amber Creek Home Decorating Guide.